Hyderabad is well known for its tourist destinations. Just like the Charminar and the Golkonda fort, there are many places to see in the city of Hyderabad. Apart from sightseeing, tourists have a lot of experiences to enjoy, there’s great shopping places, good street food options and a couple of iconic buildings to see. If you are a travelling to Hyderabad, and are looking for a guide to all the best places to see and things to do in the city, this article is just for you. Have a look at the 27 things to do and see in Hyderabad. Constructed in 1591, the Charminar presents Hyderabad to the world, as its global icon. A monument and mosque in one, it is one of the biggest tourist attractions in Hyderabad. Visitors flock here not just for its beauty but also for the markets surrounding the monument which have varied offerings of clothing, pearls, bangles of all hues. There are some great street food options for when you are hungry from all the walking about in the fort. Now a heritage hotel run by the Tatas, the Falaknuma Palace represents the opulent luxury lifestyle of the Nizams of Hyderabad. Designed and built by an Italian architect, the palace is made entirely of Italian marble. From the outside the place looks majestic and like a European Palace. Inside the hotel lies the world’s largest dining table. To see it, you will have to enter the hotel and dine at the restaurants. Go here to enjoy a dining experience like no other. The Qutb Shahi Tombs, located close to the Golconda Fort, are a series of mausolea and mosques built in honour of the members of the Qutb Shahi Dynasty. The galleried tombs, often two-storied, have a sarcophagus at the centre. Under the sarcophagus structure, in a burial vault, rests the revered Qutb Shahi. Visit the place to check out gorgeous stone carvings in Persian and Islamic architectural styles. A famed citadel of the Qutub Shahi dynasty, Golconda is famous for producing world renowned diamond, the Kohinoor, the Hope and the Regent diamond. The Golconda has many pavilions, gates, entrances and domes as well as stables, gardens, temples mosques and halls. After you have toured the length and breadth of the fort, sit down to watch the light and sound show after dark and be transported to a bygone era. Hyderabadi cuisine is very popular across India, with biryani at the top of the food chain, in a manner of speaking. All locals have their favourite spot to go get themselves some biryani. Come Ramzan, it’s also time for some haleem, which is available on the street at very reasonable prices. Then, of course, are the kebabs, tempting you every evening at street corners. By evening, the traffic on the roads in Sindhi Colony starts departing to make way for food carts start and eager foodies who take over the streets. Parathas, pizzas and Chinese noodles can be had here along with the ubiquitous mirchi bajjis, pani puris, samosas and Gujarati delicacies. A must visit at Sindhi Colony is Reason 9 that is famous for its chaats, sweets and bakery items. For the people of Hyderabad, Paradise is synonymous with biryani. 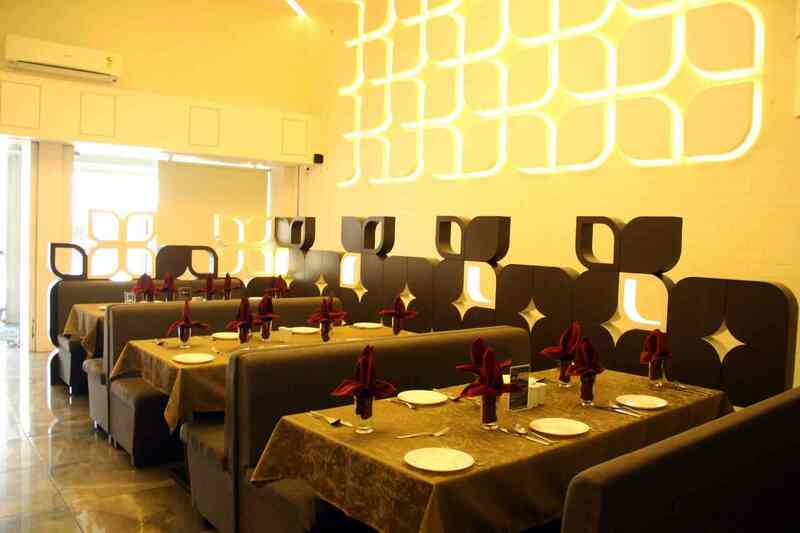 Although they have many outlets across the city, for the best experience dine at the Secunderabad location. It has four different dining areas, including a charming rooftop section. If you are not into biryanis, they have a decent Chinese section on their menu. This South Indian café is so popular that you have to wait a while to get a table. Orders are taken as soon as you step in, to avoid waiting time. Skip reading the menu and order the South Indian thali with heaps of rice and refills of traditional South Indian gravies. The Sultan Bazar is a must visit place for shoppers on a budget. At the market you can take your pick from a varieties of clothes, household items, accessories and more. There is a small section that sells books and stationery that popular with students and college kids, due to its cheap prices. You can also buy silverware, musical instruments, food items, vegetable, or head out to the Pragati Galli to enjoy a variety of street food. If you happened to come to Hyderabad with no worldly goods in tow, head to Ameerpet because it has shops that sell everything one might need by way of necessities and comforts. Clothes are a major attraction as are the fruits, food items, utensils, puja items as well as furnishings and electronics. Get here by 10 am to avoid the rush. The Salar Jung museum showcases a remarkable combination of great opulence and utmost refinement. Collected by just one man, this huge collection of the antiques of the world, dating back by centuries, captivate you. The Clock, Veiled Rebecca, a double statue of Mephistopheles and Margareta are just a few of the astounding pieces of craftsmanship which this museum houses. Don’t miss the Japanese and Chinese embroidery, the Ming vases and the European oil paintings. Spread over 2000 acres, this is the world’s biggest film city, as certified by the Guinness Book of World Records. If you happen to be a film buff, you may recognize some of the replicas of film sets at Ramoji. For the kids there a great slides and rides and couples can enjoy long walks at the gorgeous streets and gardens in the complex. Spread across 380 acres, the zoo in Hyderabad is one of the most visited places in the city, it attracts the young and old alike. The animals at the zoo are housed in an environment that replicates the wild. The zoo has an aquarium, a snake park, a butterfly park, a tortoise house, a dinosaur park, a number of birds, and a nocturnal house which artificially reverses day and night to keep nocturnal animals active during the day time. Built in 1885 by Sir Asman Jah, then Prime Minister of the Hyderabad State, this former palace is situated on a hillock. It is built in the shape of a European Medieval Castle and constructed using a Gothic architectural style. This building used to house a museum with archaeological relics but is now converted into a school. Entry is restricted and you can only click pictures from the outside. A modern marvel, the Google building in Hyderabad is a popular landmark. A sprawling campus, it is Google’s India headquarters. There are a few restaurants in the area that are worth checking out. Inaugurated at the Purani Haveli, which was the palace of the Nizam’s parents at one time, the Nizam’s museum hosts artefacts representing centuries of Hyderabad’s history and heritage. The coins of the Satavahana period, the megalithic and Neolithic artefacts and European terracotta figurines showcase the nearly 4000 years of history behind the city which many people tend to date back by just 400 years. This arts and crafts village was conceived for the preservation and perpetuation of traditional arts and crafts. The décor and ambience are intentionally rustic and the stalls here look like huts and host the Kondapalli wooden toys, pottery, embroidery, and famed Ikkat handloom weaves of the neighbouring towns. Visit here for boating and bullock-cart rides, too. The science centre, planetarium, museum and art gallery at the Birla temple are a treasure trove of information, education and entertainment for children, of all ages. Famed for their beautiful architecture and design, these places attract a number of visitors, especially during school holidays. Don’t miss the Dinosaurium which has the mounted remains of a 160 million years old dinosaur found in the Adilabad district, Kotasaurus Yamanapalliensis as well as the fossils of dinosaur eggs. Spread over 150 acres is Hitech city, where it all happens for Hyderabad’s tech sector. All the bigwigs have an office here, from Infosys to Tech Mahindra to ICICI. As do several big Indian start-ups. The landscape is awesome, with several impressive structures, great restaurants and trendy bars. Spread over 36 acres, this park is close to Birla Mandir, Lumbini Park and the Necklace Road. It is a great place for relaxing and spending an evening outdoors. Kids play a variety of light sports, while elders drop by for an evening walk in the park. There are a few food stalls around the park that those looking to grab a quick bite will love. The gardens have a variety of plants, a train ride, a waterfall, restaurants and a souvenir complex. This small but beautiful park, with its flowers, hedges and lawns overlooking the Hussain Sagar lake is a major tourist attraction. Go boating from park and see the famed statue of the Buddha in the middle of the lake. In the evenings, there is a laser show for kids, that is worth waiting back for, if you are going with your family. This palace is situated near the Gandipet Lake and was built by the Seventh Sultan of Golconda, Abdullah Qutb Shah for his favourite courtesan Taramati. The design of the palace is marvellous. It has 12 doorways that ingeniously allow cross ventilation into the palace. Situated close to the Golconda, this place is open to tourists, with food courts and other amenities. A must-visit for every tourist to Hyderabad. This heart-shaped lake was envisaged as a drinking water lake by Ibrahim Quli Qutub Shah in 1563. A visit to the Tank Bund would take you near the State’s Secretariat, NTR Garden and Lumbini Park on one end and the Boat’s Club and the amazingly intricate marble latticework on Saidani Maa’s Tomb on the other. Go boating on the lake or see the status of the region’s famed personalities dotted along the gardens, laid out along the Bund. The Birla Mandir temple in Hyderabad is constructed using 2000 tons of pure white marble and boasts of design in Dravidian, Utkala and Rajasthani architectures. Crowded year round, this majestic and serene temple offers a panoramic view of the Hussain Sagar and the city around it. One of the largest masjids in India, the Mecca Masjid in Hyderabad is a listed heritage building. Muhammed Quli Qutub Shah commissioned for bricks and soil to be brought from the holy site of Mecca and used them in the construction of the central arch in this Masjid, earning it the name of Mecca Masjid. Legend has it that 1400 oxen were used to transport the monolithic stone used in the construction, which took 5 years for 600 men to quarry. The masjid is also reputed to house Prophet Muhammed’s strand of hair. A fine example of the Qutub Shahi architecture, the Toli Masjid is located just 2 kilometres away from the Golconda Fort on the way to Charminar. This mosque is declared a heritage site by the Archaeological Survey of India. Mir Musa Khan, who was the architect of the Mecca Masjid is said to have received a Damri (coin) for every rupee spent on the masjid. He used all that money to construct this masjid, which is why it is also called Damri Masjid. Known as Masjid Iqbal Ud Daula and the Mosque of the Moors, the Spanish Mosque is a landmark mosque for Secunderabad’s Muslim community. The mosque has an artistically perforated screen for the central dome. Part of the sprawling 340-acre wooded estate of the Paigah nobles studded with seven palaces, all built in European and Indo-European styles, the Spanish Mosque is thought to be a copy of a mosque in Spain, built by the Umayyad dynasty. Jubilee Hills, one of Hyderabad’s most upscale areas, is the best place to go party hopping in the city. You can kick off your night at a lounge, then step it up at a club and finally end the night at an upscale club. Your options include F Bar, Tabula Rasa, Xtreme Sports Bar and many more. These places aren’t cheap on the wallet, but well worth your money. So, there you have it, folks. 29 places to see and things to do in Hyderabad. There are religious sites, a film city, historical monuments and even a few museums and street food areas. If you happen to be going to Hyderabad and need any more advice, do let us know in the comments.